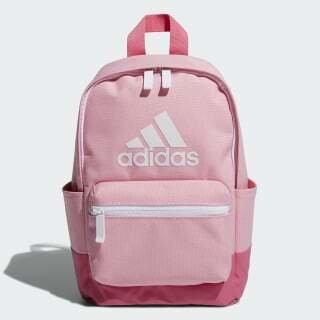 A SPORTY BACKPACK MADE FOR EASY TRANSPORT. They'll carry their gear just like the grown-ups do. This sturdy backpack features clean lines and a classic look. Multiple pockets stow water bottles and small essentials, and an inner sleeve provides a place for a tablet. Adjustable shoulder straps provide a custom fit, and a coated base adds long life.